As well as painted banner workshops, we also provided support for schools in helping students identify and create performance pieces for the event, including shadow puppets and puppets from recycled materials. 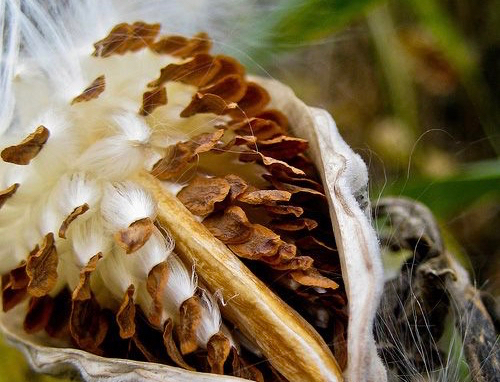 You are sure to love meeting some of these creative creatures in the above slide show! During March and April of 2015 local students painted banners in workshops facilitated by LEAP project leaders and volunteers with students from Questa Alta Vista Elementary and Intermediate School, Rio Costilla Southwest Learning Academy and Roots & Wings Community School as well as homeschoolers. The workshops were conceptually driven by the “Luz es Vida” theme and students determined the content of their collaborative banners with a little guidance from the workshop leaders. 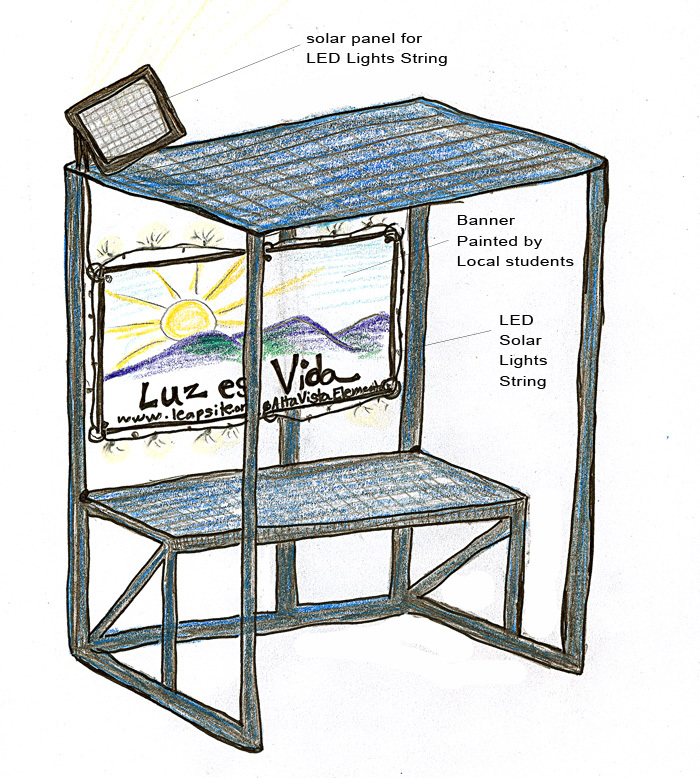 The banners were displayed at the Earth Day Performance Café at OCHO and then installed at the five public bus stops in Questa, Cerro, Lama and Costilla along with solar-powered LED lights. On April 22 – Earth Day, we had full house! 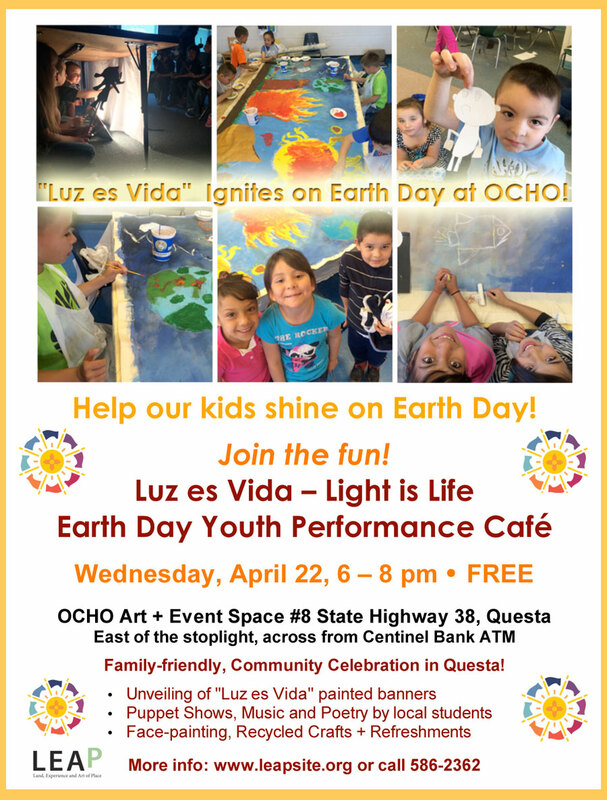 Bursting with youth creativity, color and light, the “Luz es Vida Earth Day Youth Performance Café” was full to capacity in more ways than one. Five large, brightly painted banners as well as some wonderful smaller works greeted guests as they entered the gallery space. Each one reflected the “Luz es Vida – Light is Life” theme in its own unique way through the creativity of the many youth hands (over 220!) that worked on them. As the café tables and chairs filled with eager families and students from all three Questa District schools, teen volunteers circulated serving savory and sweet treats to audience members. The face-painting table occupied one corner of the room and in the opposite corner was a craft table and buffet of recycled crafting supplies. Student performances included shadow and recycled puppet shows, Earth Day-themed songs, dramatic poetry recitation, readings of original poems and concluded with a collective, participatory rhythm-based rainmaking exercise punctuated by a student-made “rainbow”. LEAP would like to extend thanks to all of the dedicated volunteers for helping to make the event such a success, to the Northern Rio Grande National Heritage Area Fund and Questa Economic Development Fund for the financial support, to the teachers and school administrators for their efforts and to all the students for participating and sharing their creative ideas with us. LEAP Project leaders, Claire Coté and Joan long, feel that they can report without a doubt, that the event and banner project was a great success! Keep your eyes out for the banners, soon to be installed in local NCRTD Blue Bus stops! Find more photos and details visit leapsite.org/2015/05/01/earthday. What an amazing and exciting time for the students! Especially liked the shadow puppets. Thanking all who made it possible for all those special children. Thank you for your comment, Jean. Thank YOU for being a part of this project!